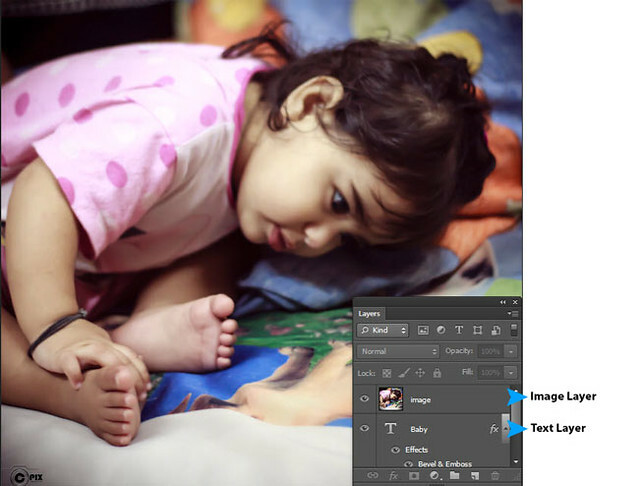 Another type of masking is Clipping Mask, it is different from layer mask but work is again same, you are controlling transparency of desired areas in an image. I have an image and a text and I want to see this image through this text and all other area will get transparent. Image layer will be on top of the text layer through which you want to see this image. 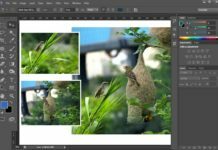 Here you can’t see text layer as it is placed under image layer (to learn about layers go to Layer chapter) Now here are two ways to create clipping mask. 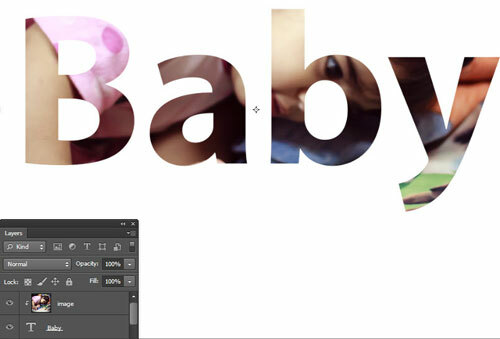 Right click on upper layer and select Create Clipping Mask. 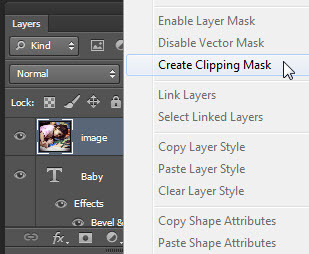 Or press Alt button and click between working and mask layer. 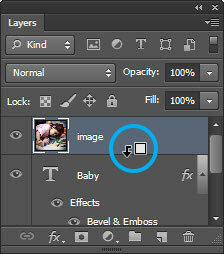 You can see an icon, it means you are masking layer with below layer. 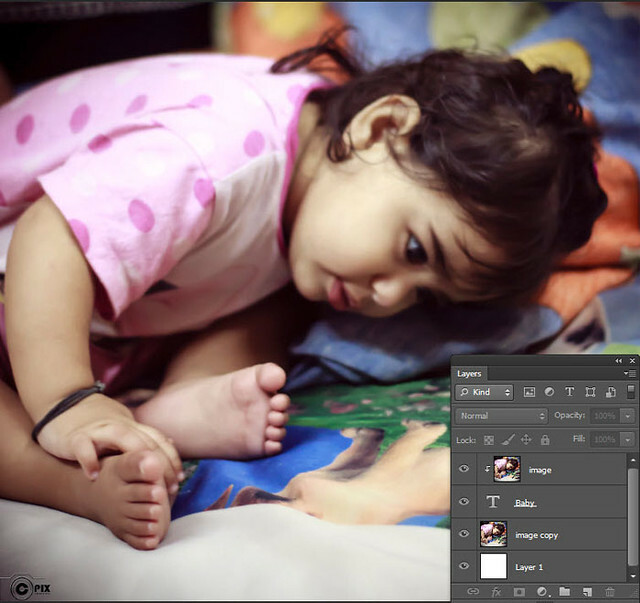 Now let see what the result of clipping mask is. This is what we can do with clipping mask but now after that everything depends on your creativity, that how much you can get from this. I am continuing this to get something good from it. 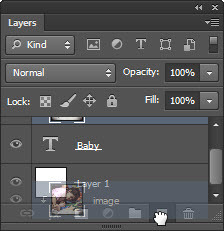 Firstly I take a copy of layer by dragging that layer on New Layer icon in layer panel. 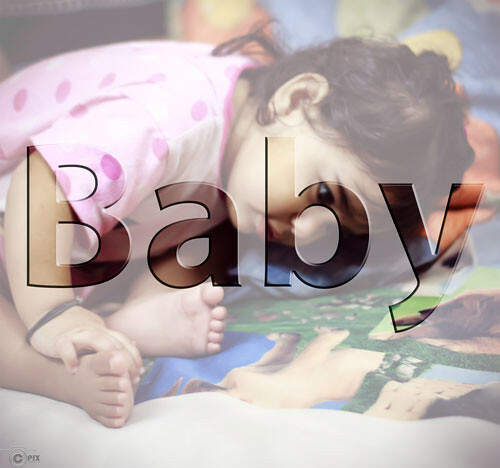 Now take that copy layer below text layer which is mask layer for its original layer. 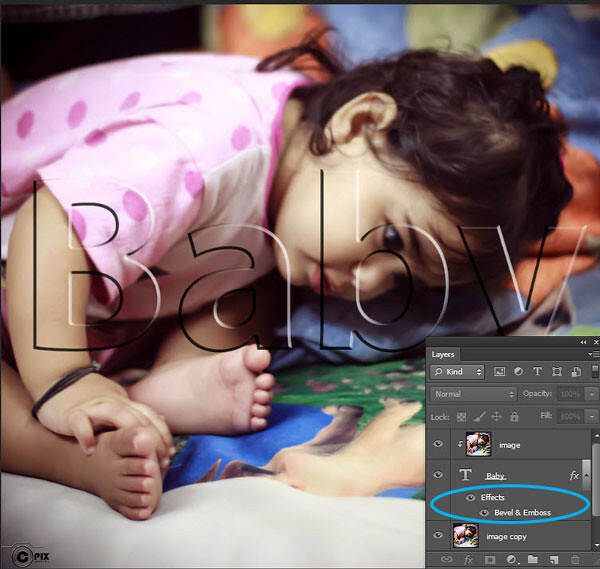 Now you can only see that image as now copy layer is fill all transparent area created by mask layer. Now to see an effect of mask I am giving bevel and Emboss layer style to text layer. 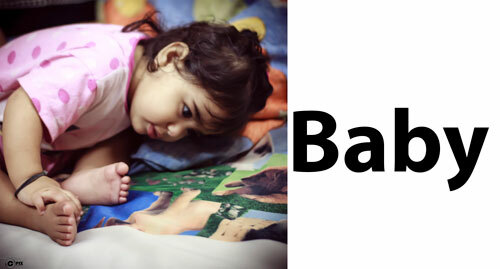 You can learn about layer style in Layer style tutorial. Here you can see embossed effect of masked layer. 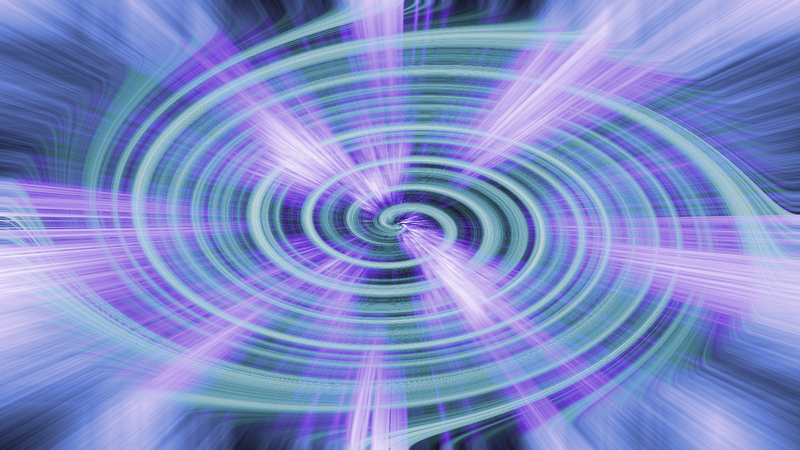 Now to give some nice effect I decrease the opacity of copy layer. 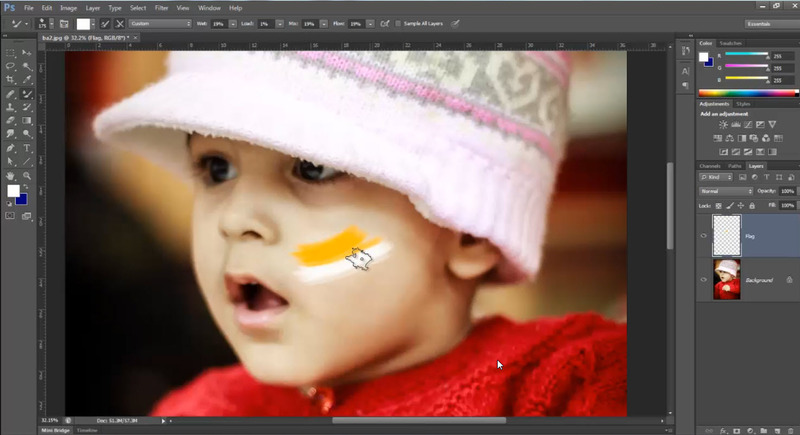 And here we have our result composition like this you can do lot of creativity with clipping mask. Hopefully this tutorial helps you. Ask your Questions related to topic below in comments bar. Share Tool Tutorial with your friends through social and other medium would be appreciated!